Sturdy ring binder easel sets up easily for presentations. Easel features a full-sheet front cover pocket, space for a label holder and a business card holder inside the front cover. Included 10 refill pockets have a black matte finished insert sheet. 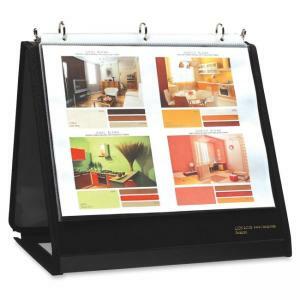 Binder easel contains 30 percent recycled material.